Hi guys! It’s quick tip tuesday! I’ll be posting quick, shortcut recipes for homemade favorites that save you time without compromising on taste! This tuesday is about banana nut bread. Who doesn’t love a warm, comforting, moist slice of bread ribboned with mashed bananas, melted chocolate chips and crunchy walnuts? Making homemade banana bread isn’t very hard, but this recipe is just like 1, 2, 3 and done! Preheat your oven to the temperature given on the cake mix box. Mix the eggs, milk and oil in a mixing bowl. 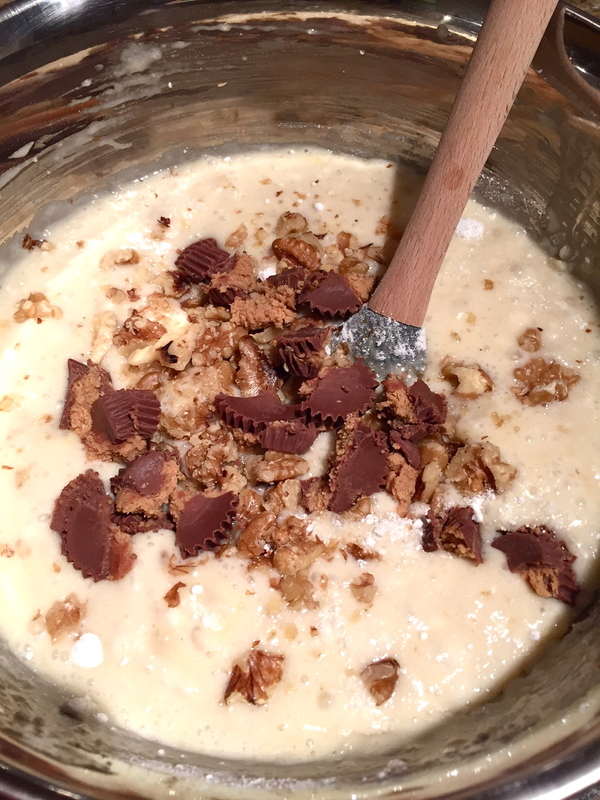 Add the cake mix, mashed bananas, chocolate chips and walnuts. Pour into a greased baking dish and bake for 35 minutes or until the top is golden brown and a toothpick inserted in the center comes out clean. That’s it! Just a simple box of vanilla cake mix can be transformed into something delicious with just a few ingredients!